I was tempted by the new 4K FireTV, but seems a bit too focused on Amazon’s services to find a place in my stack. That said, the price is right ($99) and Amazon is making great strides in the content space… Maybe next year :). 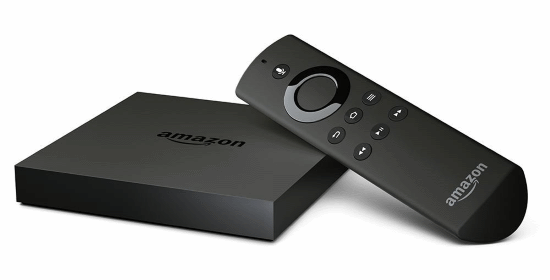 Last October, Amazon introduced a new version of its Fire TV streaming media player. Following the Apple approach, Amazon didn’t give the new product a new name; it’s still just called the Fire TV, but it’s now the only version you can buy via Amazon’s website and authorized retailers like Best Buy. The new player boasts a number of improvements over its predecessor. The most important one for our readers is 4K support. The new box has the necessary HEVC decoder to offer 4K versions of apps like Netflix and (obviously) Amazon’s own streaming platform. Other changes include the addition of Alexa for improved voice-activated search, a Wi-Fi upgrade to 802.11ac MIMO, and a new, faster MediaTek 64-bit quad-core processor.